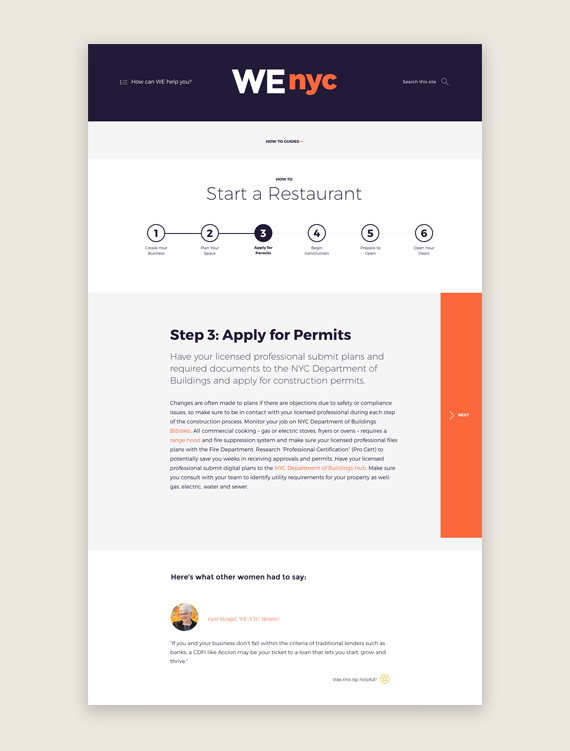 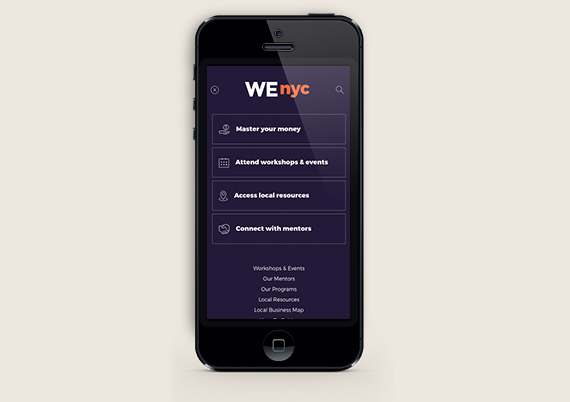 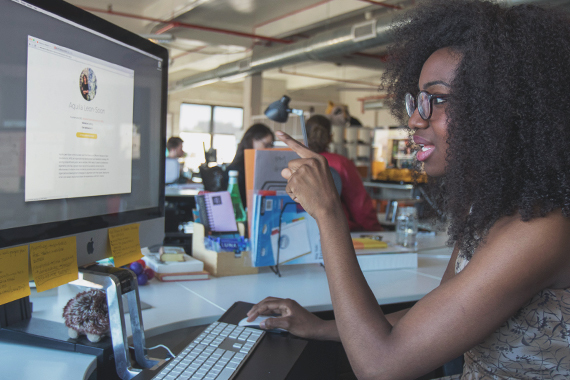 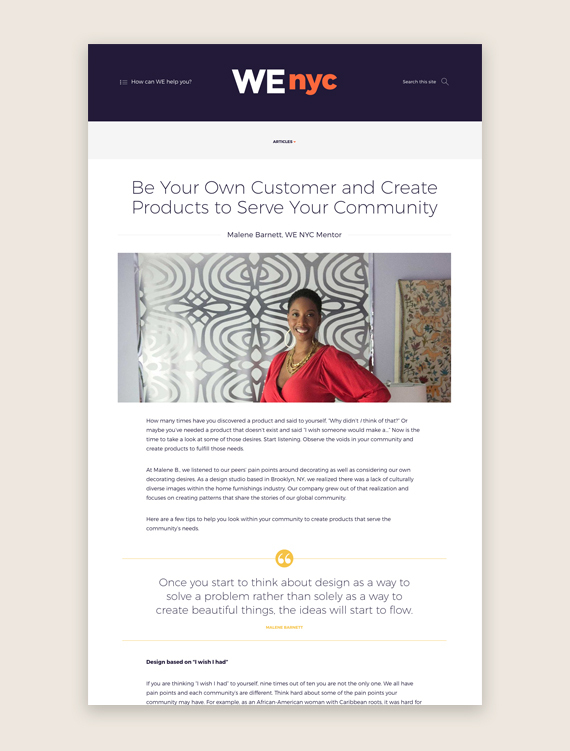 As part of the broader WE NYC initiative, the first of its kind in the U.S., the WE NYC Portal aims to reduce New York City’s gender gap in entrepreneurship by empowering underserved women to reach their full economic potential, by providing high quality and curated information to help them grow their businesses. 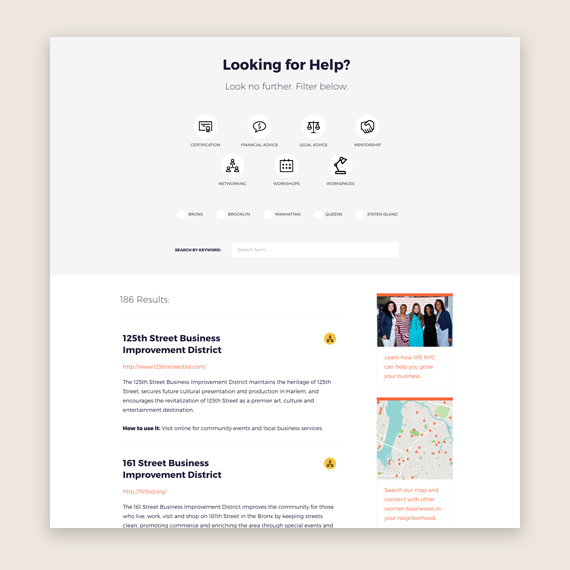 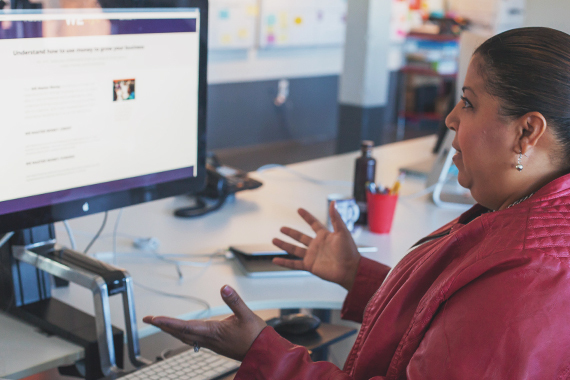 Through a human-centered design process, we developed the site based on frequent focus groups and usability testing, done both online and in-person, with a diverse group of women that represented varying industries, backgrounds, boroughs, skills, and experiences. 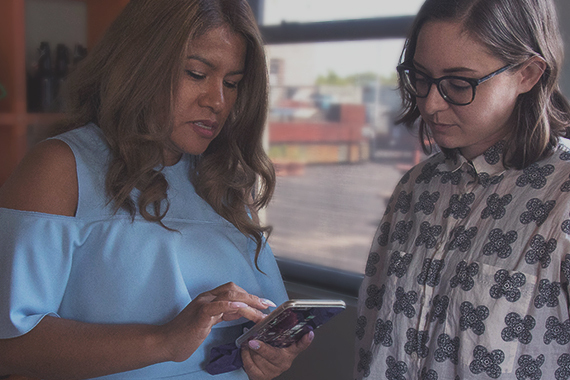 We were able to learn from their insights and feedback along the way and incorporate that critical knowledge into our planning and design decisions. 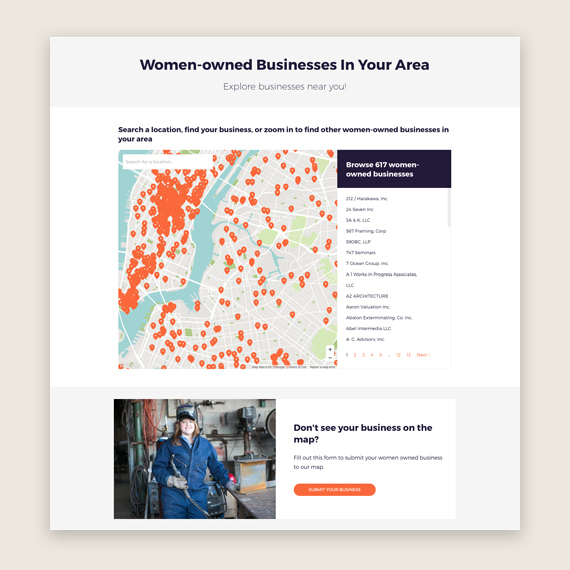 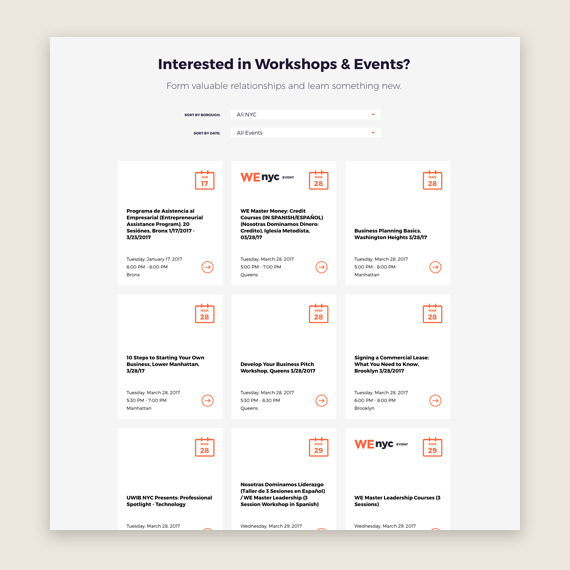 As a portal WE NYC pulls together a lot of complex data from many disparate sources including a database of women-owned businesses plotted on an interactive map, a library of searchable local resources, and a comprehensive calendar combining several event feeds. 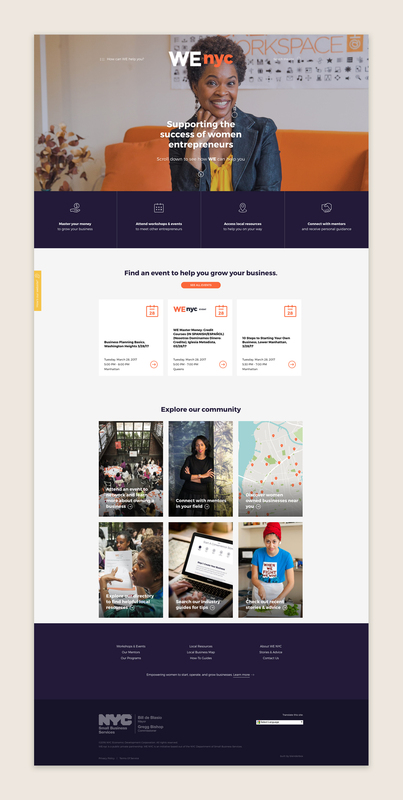 A clean design, supported by a strong grid, clear visual hierachy, and generous whitespace, presents the content in an approachable and attractive way which helps to increase comprehension and audience engagement.